Show your support and help the website while you're at it! 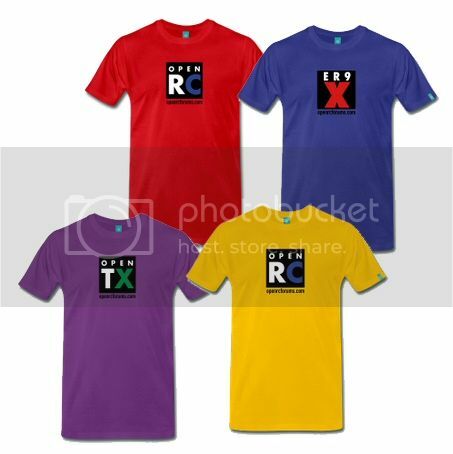 Official ER9X Tshirt, available in light and dark colours. I can't see one with er9x in the front but with the radio and expanding possibilities on the back.. There are with 9x and the radio.. I meant with er9x and the radio.. and that I couldn't find..
page two of the shop. er9x with radio on back and openrcforums.com on the sleeve. I want every single one I make.. I can't afford it.. but I live through my creations in Illustrator.. This is valid until Feb. 27th, you get a free hat/scarf if your order is $30 or more... no print on the hat/scarf, but you can personilze it. I just found out, don't shoot the messenger. Buy it! I bought 2, one for me and one for my little 16yr old brother. Going to cut some foam and use that as my transmitter case. All orders made last week are shipped! Tshirts have more graphics on them, front back and text on the sleeves. The Bag only has text and a logo. That's just the way it works out. I could charge more for the bag if it makes you feel better... 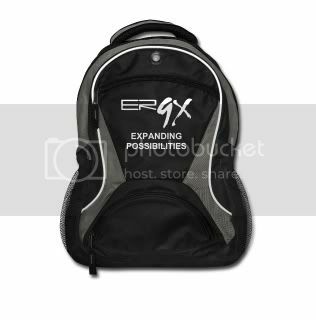 I try to keep the prices around the same markup , any sales of anything will go to support this forum and other 9x gurus for their wonderful work. You are supporting the community with the purchase. I make nada. I make a little on decals when I sell them. No aluminum cases, the backpack is great for that, you can cut some foam and pad it more for protection. Or , you can buy a metal case, and when the decals are ready, order a set and stick them on. 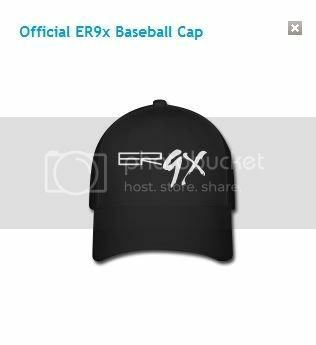 Maybe it's possible to add embroidered ER-9X caps?? Already looking into that. Can be expensive though. ER9X, one radio to rule them all, and in the darkness Bind them! Sky9X: One radio to rule them all, and in the darkness BIND them. I am during the summer, nice dark tan. Or a nice splash screen? LOL! I was thinking more along the lines of night flying, but hey, I'll go with that. I just couldn't resist the reference. I was reading up on a thread somewhere and the word bind came up several times in a row. Thanks for the splash Cre8tive!!! 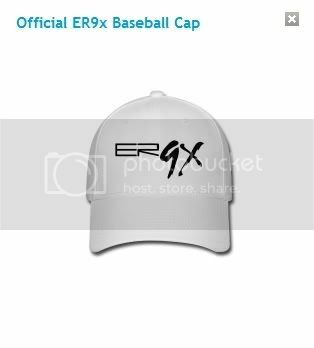 Baseball caps for the spring and summer... keep the sun off your eyes and enjoy flying! Are the neck straps still "under development" or did I miss them already?